Premier League football is returning and with it comes the assumption that the top flight of English football is the best and only way of running a football club but there are alternatives to be found. The Thierry Henry campaign to launch the return of the Premier League on Sky Television was predictably a hit. A video showing the Frenchman wandering through moments in the last 23 years of football history like some kind of Gallic Forrest Gump has been watched millions of times. And right now there are sponsorship deals being made which will see logos for betting companies or pay-day lenders – or airlines and insurers – emblazoned on shirts. Soon football will be returning from a Summer break that hardly seems to have happened. Which is wonderful. Because we all love football. I know I do, but I know I do not love all football, and increasingly I recognise that there is a lot about football that I do not like at all. This is not the prelude to a moan about money in football. I have no problem with a player earning the salaries they do. In the most general terms the money in football comes from footballer supporters subscribing to the game through season tickets and television rights, from a pie at the game to a pint in a beach bar under the omnipresent sight of Premier League football on a screen suspended from a rattan roof. Most of the money which comes into football goes out to players. This is often the source of consternation but it is probably not the case that if as money did not go to players it would result in cheaper shirts and lower admission. It would go to Directors and Owners. I enjoy watching players play, I don’t enjoy watching Directors direct nor spend their dividend payments. If I had the choice of how money flows through a club, if I have a choice between Players and Directors, it would flow with the players. Encapsulated in that choice is the perception problem we have with our football. We set the game in the tone of excess. What to do with the massive amounts of money that the game generates? What are the ethics of a £100m transfer fee? Or a player who earns £1m a week? Should clubs use money to reduce admission prices? Who should be allowed to own a club? Should the owners of a club be allowed to relocate the club to another City? Should they be allowed to rename or recolour a club? Or to fund club to success at the expense of other clubs who have not been given huge financial injections? Or to strip out assets as someone might do with any other business? These are the debates in football over the last few years, and they will be the debates we have for the few years to come. These debates are all framed around one central theme: the massive amounts of money generated by football, and what should be done with it. Standing on the roof of Croke Park and looking out to Dublin Bay you can see Howth Head. It is the spot where Leopold Bloom asks wife Molly to marry him as recalled in her soliloquy which closes Joyce’s Ulysses. The roof of Croke Park is a horse-shoe shape leaving one end uncovered. It seats 73,500 people which along with the 8,800 on the terrace create the third largest stadium in Europe. It is a towering structure and one which is used almost exclusively for Gaelic Games and specifically Gaelic Football and Hurling. The Gaelic Games are amateur sports. When more than 82,000 people go to Croke Park – and they do – they go to watch players who do not get paid anything more than expenses to play for the county of their birth. The teams in the Gaelic Games are regional and there is no transferring between them. Of course you can find example of players who get paid in some way, and who have managed to find a way to switch clubs, because abuses exist in every system, but standing looking over the expanse of Croke Park the contrast to the oncoming rush of Premier League football is stark. And it is stark in this way. We have been told – as football supporters – that there is only one way that a sport can operate and it is the way of the Premier League. Since the launch of the Premier League in the early 1990s all football has been mutated around it, becoming focused on what is more or less the same approach to a game at every club. There is a circular model which operates at every club which is about trying to achieve as a high placed league finish in order to generate money through sponsorship and advertising which is put into trying to achieve a high league finish. Its is important to make a distinction between this model and trying to win a league. 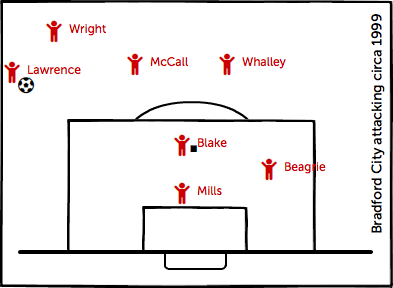 Newcastle United are our model in this analysis. They aim to finish as high as they can but know that that will not be able to win the Premier League. The aim is to maintain position. The method is to recruit a team from all over the world without any specific connection to the team or the area it plays in, or the people who support it. That team is paid for by advertising almost anything that can be advertised. There is no ethical, or interest, test employed other than the commercial one. Barcelona – a team who said that no sponsor would dirty the shirt – accepted one in order to compete in UEFA’s world as defined by Financial Fair Play. 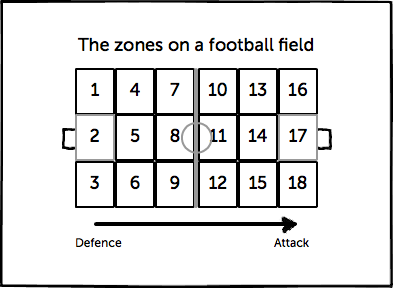 The rules that football is played under demand that income is maximised by any means. That is the way that football is. There is little which is not sacrificed in pursuit of the circular model. Cardiff City change the colour of the team’s shirt, Hull City try to change the name. Manchester City seem to have been prepared to change everything about the club other than those two things. Newcastle United will change the name of the stadium, West Ham United will change the stadium, Coventry City will sell the stadium. All in order to turn the wheel faster on the circular model. Which makes sense if the circular model is the only model – the only way to run a football club – but is it? FC Romania play in the Essex Senior League and have a place in the FA Cup Extra Preliminary Round this month. They are a team set up to give a place where Romanian community can play football together. Sporting Bengal United who were formed to encourage more London Asians to play the game and play in the same league. FC United of Manchester have opened a community stadium. AFC Wimbledon seemingly exist to show that community football is viable. To greater and lesser extents these clubs operate away from the circular model in that they have priorities other than success be that financial success or success on the field. AFC Wimbledon, for example, could make more money to spend on the team should be agree to the many attempts to create a kind of WWE style Smackdown rivalry with MK Dons but they prefer to stay quiet and dignified. These have things which they consider more important than being successful, and which they would maintain at the cost of success. They would rather be “a thing” than be successful in the way that football measures success. They create their own terms for success which are tightly weaved into their clubs. Hill 16 is the standing area not covered by the Croke Park roof. “Why isn’t the stadium finished?” asked a tourist, “That’s sacred ground.” replied the tour guide. On 21st November 1920 the stadium was the scene of a massacre by the Royal Irish Constabulary. Thirteen supporters and one of the players were killed by gunfire described as indiscriminate. It was a reprisal attack on a day which is known as Bloody Sunday. Hill 16 is set as the location of the attack and as such is the focal point for the mood of defiance that surrounds the Gaelic Games. That defiance is not just nationalistic (if it is nationalistic at all) it is also anti-establishment, or at least anti-corporate. Recently Dublin has had to contend with the news that the Irish FA, smarting from being knocked out of the World Cup by a Thierry Henry handball, were paid and accepted hush money. The Henry advert for Sky is probably not as popular in Dublin. Football and Rugby Union are popular and are part of Global sporting movements. It is not hard to see how the Gaelic Games stands apart from that. In the bowels of the massive stadium is a small museum dedicated to the history of the games, and of what the games represent in Irish independence, which talks of a community pride and tradition. Again the contrast to the “whole new ball game” of the Premier League is marked. Hill 16 stands as a part of that tradition. To continue the roof of Croke Park around would be to intrude on what is sacred ground to some. It would also be to miss the point of what Croke Park is and how it is a focus of a feeling that is at the heart of the Games played there. Hill 16 is not sold as a part of the brand of Gaelic Football. It is intrinsic to that game itself. I go back in my mind to that week when Bradford City played three distant away games in six days culminating in one of the biggest games in the club’s history, an FA Cup Quarter Final. The heavy legs, the weary players, and the sense of unfairness that had come from what was the luck of the draw of fixtures on one hand, and the fixed nature of the replay date because of the demands of Television and European Champions League football. Had I been watching that game as a neutral I would have wondered how it could be that such a handicap would be applied to one of the teams. Alan Greene said as much during his Five Live coverage of the game. The answer is as depressing as it is predictable. The money which fuels the circular model comes from the same sources that have created the environment where that game was considered to be an acceptable part of a top level football competition in this country. And that poises obvious questions as to who decisions are being made for in football, and made by. At Bradford City we have enjoyed and endured a narrative over decades which (in some contexts) sets the club apart. In the Fire of 1985 we have out Hill 16, conceptually at least, and there is a sense of priorities which does differ from other clubs. On most occasions those priorities are folded into the fabric of the wider game seamlessly enough. When it clashes such as in the Diadora advert for example a kind of reparation is made quickly and everyone moves on. There are serious people who have reservations about how clubs like Bradford City, or Liverpool with Hillsborough, Spartak Moscow at Luzhniki, or Torino with The Superga Air Disaster have the tragedy build onto their sporting brand often without the permission of the club or its community, and sometimes against the will of supporters involved. 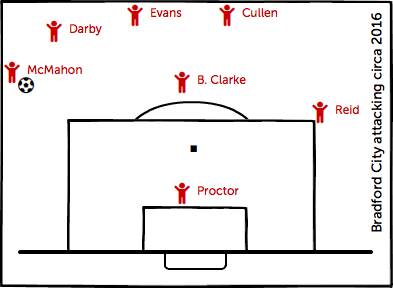 There are times when it is apt to talk about 1985 at Bradford City and times when it is not. Bradford City the football club and Bradford City the community of supporters do not always overlap. Asking a player under twenty eight years old at the 2013 League Cup final if they are (para) “doing it for the victims of the fire” is one of those times. Matt Duke, who played in that 2013 final, having survived cancer earlier in his life and saw his achievement on the field set entire in the context of his illness. The tone was not quite that had Duke not made a major final his recovery would have been lesser but the nature of the coverages showed the inability of the football media to consider matters out of a sporting context. When, in the build up to the 2013 League Cup Final, Liverpool born pair Gary Jones and Steven Darby were asked what their thoughts on City accepting coverage sponsorship from The Sun and replied that they would rather it did not happen and the club (to the credit of all) respected those wishes. The media ignored that story and still do perhaps because there was no way to set that in the context of “the boys doing good”. If you arrive at Stamford Bridge early on that glorious day you could have walked around The Chelsea Museum. It is as far from Croke Park which has a delight in history and the amateur codes as you would ever see. A celebration of Chelsea, and Chelsea winning things, and the fact that Chelsea had won things largely (but not only) because of massive amounts of money which were questioningly amassed by Roman Abramovich and lavished on the club. Perhaps there should be a corner of the Chelsea Museum donated to Dubliner Mark Yeates wheeling away after he scores the fourth goal in City’s 4-2 win at Stamford Bridge? The Shed End full and bouncing celebrating a team of hard working players scoring a massive upset. It contrasts sharply with what Chelsea have become since Abramovich’s arrival but it seems to speak to something at the heart of the football experience for supporters. This might seem a comic idea – and it is presented tongue in cheek – but to a person who pre-dates the Premier League standing in the Chelsea Museum celebrating someone’s success because it happened at Stamford Bridge is very much what the club is about. The phrase “easy to rig and was in fact rigged” is the heart of the Chelsea story. It does not feature in the Chelsea Museum, nor does it feature in the advertising for “23rd Year of The Best League In The World” which is bombarding out media this week. Who does English football serve? Who does English football serve? We have a simple question which quickly diverges into complexities. Is English football here to serve the season ticketed rank and file supporter? Is it to serve the wider nation that flags up every two years and consumes the game passively? Is it to serve the overseas audiences who we are told are “increasingly important markets”? Is it to serve Oligarchs and Billionaires who own clubs? Or the Millionaires who play for them? And when we get to an answer to those questions do we think that English football serves its aims well and for the good of the people it claims to serve. It is nothing new for a season ticket holder at a club like Bradford City to suggest that the game is expensive to follow and does not seem to have his interests at heart and this sense is not lessened the higher up football one goes. Newcastle United supporters have been given a 12:45 kick off in Bournemouth in a move “by TV” which used to cause more outrage but now is just part of the fabric of the game. We just assume – as supporters look on – that someone else’s interests will always trump our own. If we were at Croke Park we would just assume that Hill 16 would be demolished because someone else wanted it to be, or could make money from it. And in that we assume that the someone else benefits appropriately but are we that convinced that the overseas audience the Premier League loves so much is best served by watch it? Would football energy not be best spent making better local leagues? The one hundred year plan in Japan, and the progress of the MLS, have shown what a country that is able to get the space to create its own league can progress. Think about the ramifications of this football Imperialism the next time you see a Real Madrid shirt in Bradford City Centre. The people at FC Romania v Sporting Bengal United are building real communities around football. How does having to compete with Real Madrid help with that? And how is it less obvious how the expansion of the Premier League to overseas markets is not equally counter-productive for other communities? How is it not obvious the damage being done to us all? More about Chelsea, Coventry City, Croke Park, Diadora, Dublin, FC Romania, Gaelic Games, Gary Jones, Hull City, Hull City Tigers, James Joyce, Japan, Major League Soccer, Manchester City, Mark Yeates, Matt Duke, Premier League, Sky TV, Spartak Moscow, Sporting Bengal United, Stephen Darby, Thierry Henry, Torino.